Polkadots follows 8-year-old Lily Polkadot who just moved to the “Squares Only” small town of Rockaway. As the first Polkadot in an all Square school, Lily faces an almost impossible task of gaining acceptance from her peers. From daily bullying, to segregated drinking fountains, Lily’s quest seems hopeless until she meets Sky, a shy Square boy whose curiosity for her unique polkadot skin blooms into an unexpected pal-ship. Polkadots serves as a colorful history lesson for children, reminding them that our differences make us awesome, not outcasts. Polkadots was conceived by Douglas Lyons, who also wrote lyrics and co-composed music with Greg Borowsky and features a book by Melvin Tunstall, III. The creative team also includes Madeline Smith (Music Supervisor), Ted Arthur (Musical Director), Ethan D. Pakchar (Orchestration) and Salina Giardino (Illustration). 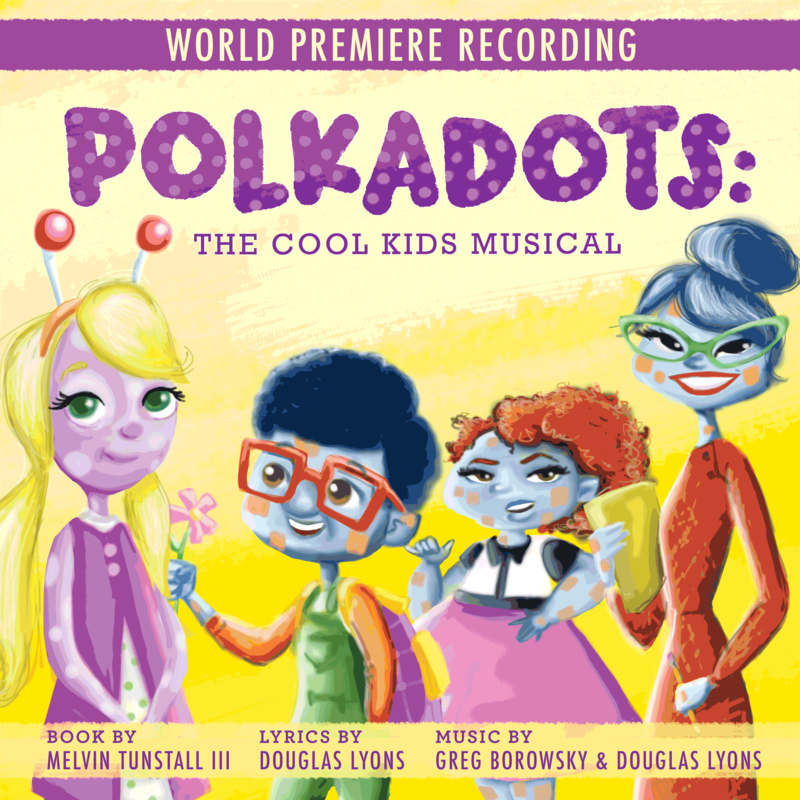 The World Premiere Recording of Polkadots: The Cool Kids Musical is produced by Marc Blakeman, Shaun Hurwitz, Douglas Lyons and Greg Borowsky. Polkadots is the new musical inspired by the true events of the Civil Rights pioneers Ruby Bridges and The Little Rock Nine. The World Premiere Recording features Shanice Williams (Dorothy in NBC’s The Wiz Live! ), recording artist Alex Newell (Glee), Lilli Cooper (The SpongeBob Musical), Alysha Deslorieux (Hamilton), John Arthur Greene (American Idol Season 15), Katie Thompson (Giant), Julia Knitel (Beautiful), Brittney Johnson (Motown), Gerard Canonico (Dear Evan Hansen), Sara King (Hair) and Talia Thiesfield (Veep).